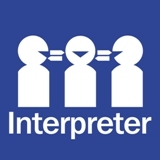 Requests for interpreters via the Queensland Health Interpreter Service can only be made by Queensland Health staff. Clients requiring an interpreter should request one through a Queensland Health staff member. The following information and links apply to Queensland Health staff only. All requests made within 24 hours of the scheduled appointment are considered short notice requests and should be made directly to the contracted external interpreter agency. This includes emergency requests. More information about making after hours or short notice/emergency requests is available on QHEPS. Staff with access to the Interpreter Service Information System (ISIS) can request an interpreter directly. Staff without access to ISIS must request an interpreter through their local Health Service District Interpreter Service Coordinator.